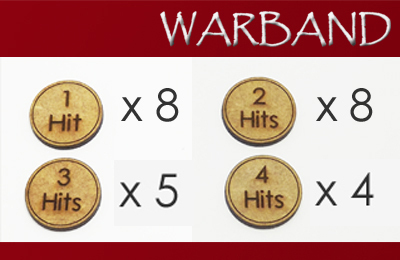 We are extremely happy to announce that the first set of official Pendraken rules, Warband, are now available as a hardcopy on our website, priced at £16.00: HERE and for those who would prefer to buy a pdf copy, these can be bought through the Wargame Vault website HERE, priced at £10.00. 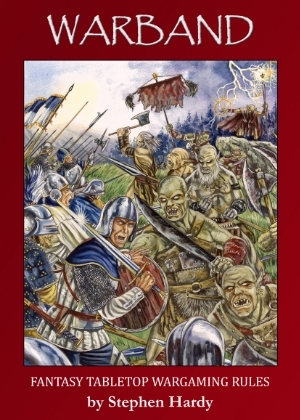 Written by Steve Hardy, Warband provides all the rules you need to bring great battles between fantasy armies to your tabletop. You can play games against your friends or competitive battles against worthy opponents. 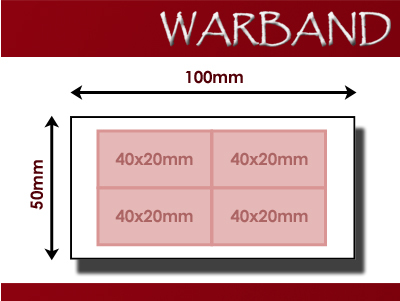 Whilst the rules have been written with the 10mm Pendraken Miniatures ranges in mind, there's no reason why you can't use other scales as well! 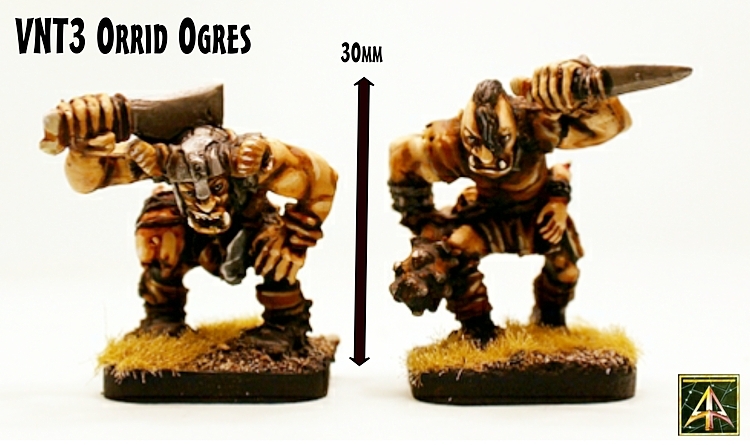 As well as the rules, we have also now released our first two revamped Fantasy ranges, with the Goblins and the Hill Dwarves now available! These new ranges are huge improvements on the old ones, adding not only new sculpts but also more variety to every pack. 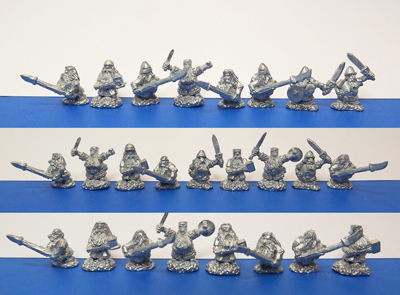 So much variety in fact, that a pack of foot now contains 25 individual figures, each one different to the last. From different weapons and headgear, down to added cloaks, beards and pouches, we've gone for maximum variation within every single pack! We've put some bare metal pics up onto the site for now, but those will be getting replaced with painted pics very soon. Bases, Movement Trays and Gaming Aids! 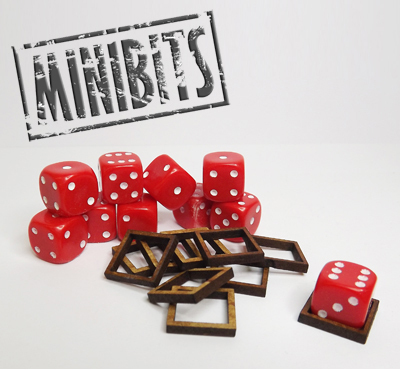 As well as the rules and the figures, we've got a range of extra bits and bobs to help your games along! As well as those, we've also created some handy tokens for tracking the hits on your units. 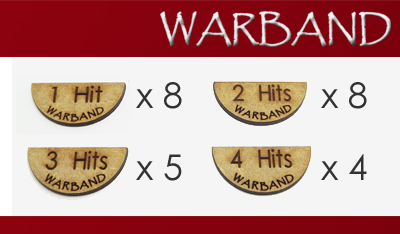 Available in both circles and semi-circles (for placing neatly up against the back of your base), these come in packs of 25 tokens, which should be enough to cover both sides in a game of Warband. 20mm circles are £2.50 per pack, the 30mm semi-circles are £3.00 per pack, see HERE. Finally, all of the units in Warband rely on their Morale to stay in play. If it loses all of it's morale, then that unit will rout and is potentially out of the game unless you can save it! One handy way of recording the morale of each unit is by using our trusty dice frames to keep track of it HERE. At only £1 for 10 pairs of dice/frames, these are a great help and you can also see these frames in use in the images within the rulebook. I think that's everything then! Many thanks for reading, there'll be lots more new and revamped Warband ranges to come over the next few months, so keep an eye out for those! 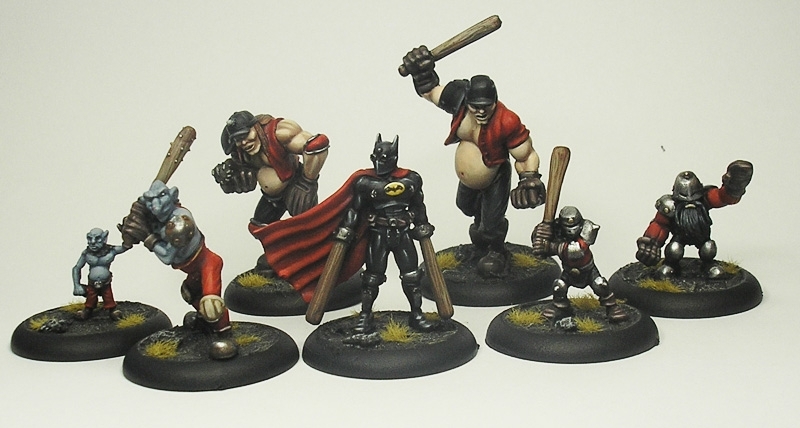 Batt-Ball is a violent version of baseball set in a fantasy world. 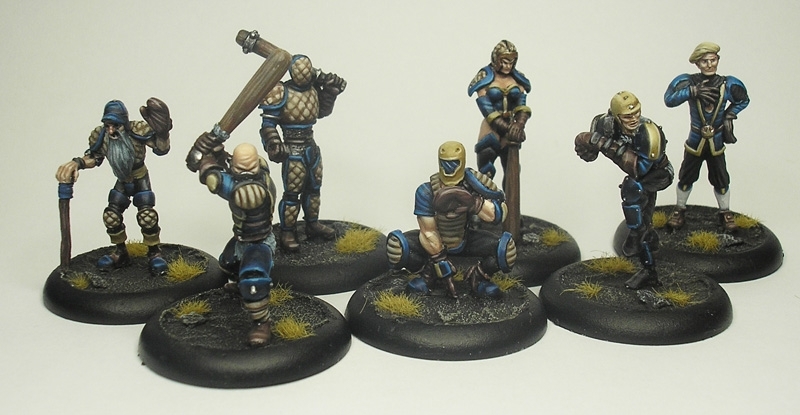 Figures sculpted by PF and painted by Ari Nielsson. Ideal for anyone who fancies a bit of fantasy sports gaming. Figures available as singles with the two teams available in multi-packs at a slight discount. 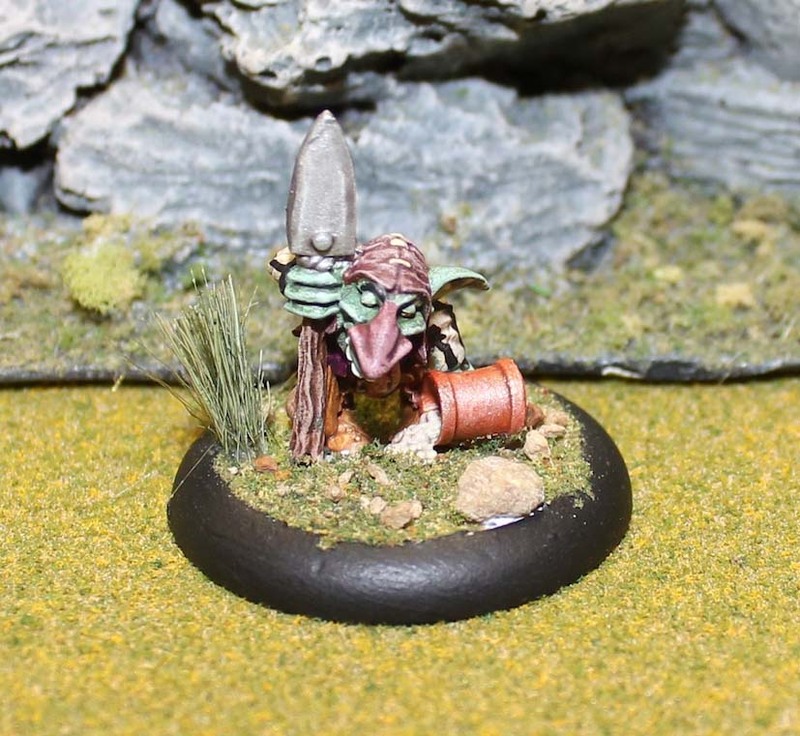 You can get your very own Goblin HERE. 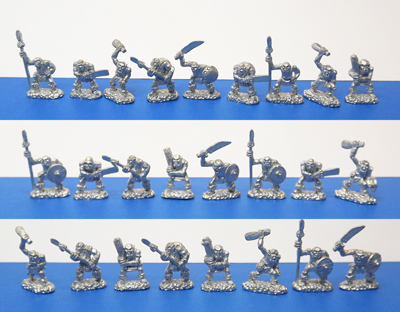 Check out our other 28mm Fantasy goblins and adventurers! You can see them all HERE.